But only 2% of church people invite an unchurched person to church? (Thom Ranier, 2003). Can we change that, particularly as Easter approaches? Recently, I listened to Church Talk Radio and they had a brief 5 minute segment on praying your work in inviting people to church. I added the last four. Pray for the courage to invite them to church. Pray for favor that they would accept the invitation. Pray they would follow through and come. Pray that your church would welcome them. Pray that they would hear the message and grow one step closer to God. How to use this Prayer list for Easter. I hope many of you are preparing your Easter events, or a new sermon series to kick off after Easter. Use this time to re-encourage your congregation to be involved in inviting people to church and to pray for those invites to happen. Pastor, as you prepare your sermons these last few weeks, how can you lift up the value of invitations and practice that yourself? Who are you inviting to church? Do you need to give them a tool to give away, like a business card that church members can give away? 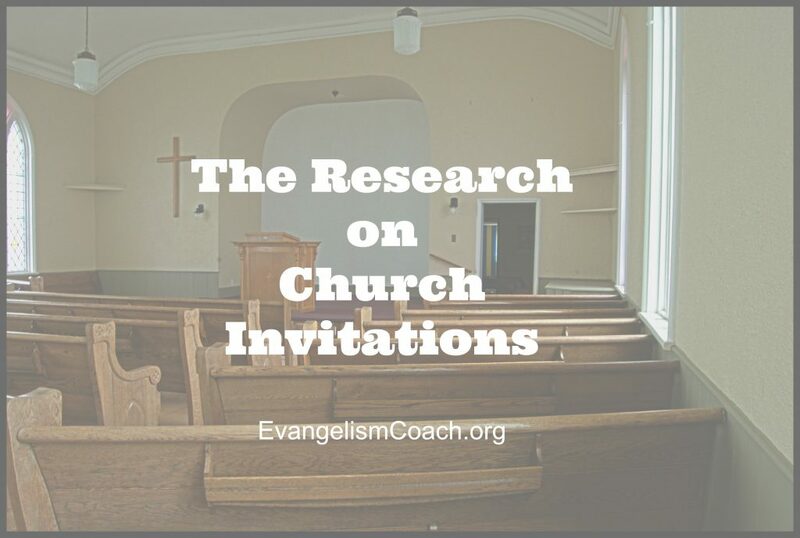 Each week, I send out new articles to help you grow your church through personal evangelism, invitations, improving your greeter ministry, and refreshing your vision for church hospitality. It comes out weekly. Am just very happy to learn this and am increasing to the better every day in inviting a friend or some one to my church .Thank you Pr CHRIS.Now am being challenged to start a wonderful way of inviting visitors to my church.Now can I welcome you Pastor to my church?